Hear about the time that Paul was hired by a client for a large-scale illusion show and against his better judgement, did the illusions himself rather than hiring someone better fit for the situation. It bombed and he ended up losing the client. Remaining married to the same woman over 40 years and putting his daughter through college. Very respectable. How does Paul differentiate himself? He works very hard to be the most friendly person that you’ll ever meet. 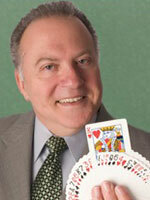 Paul talks at length about and answers questions specifically about strolling magic. • The difference between “strolling” magic and “walk-around” magic. • Is it possible to make a living primarily from strolling magic? • How restaurant gigs are different from private parties. • Misconceptions about strolling magic. • Soliciting outside work from restaurant gigs. • Pricing, being worth your price, and justifying your value to your clients. Realizing that show business is a business, and running it accordingly. Paul tells us three short stories that he’s experienced in his career so far, one of which involves a card trick that Nate Leipzig taught George Burns. Paul would have worked harder on marketing. • Fear of failure and fear of success. • Talks about some of his “real jobs” and how those helped him be successful in his magic career. • Finding a balance between work and family. • Being protective of our families. • Have interests outside of magic. Leave everyone you meet better off than before they met you. Make a positive difference in people’s lives. Develop a great skill of communication. Develop your vocabulary, learn how to speak properly. Get involved with Toastmasters to hone your skills in speech. 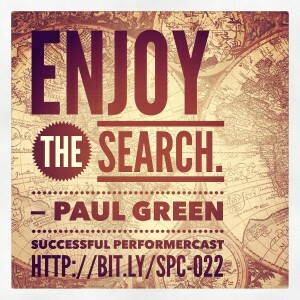 Where can we find Paul Green? You can also find various products put out by Paul Green at magic shops. ← S2E9: Bizzaro — Optical Illusionist!